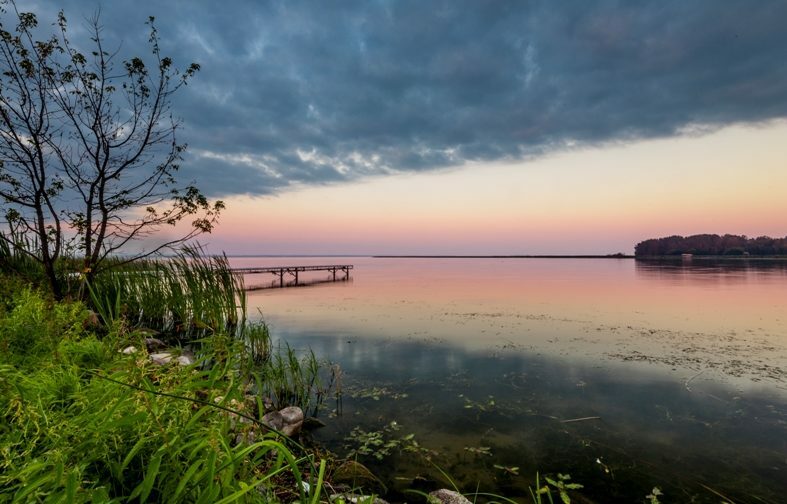 Welcome to Part 2 of our special two series article. A new year brings new trends in kitchen design and trends, however, Better Homes and Gardens (BHG) believes these trends of 2018 are here to stay. Keep reading to learn how we incorporated these details into our homes at Waters Edge. BHG believes white kitchens never go out of style, and we agree! White kitchens allow you to decorate and accessorize according to your unique style. 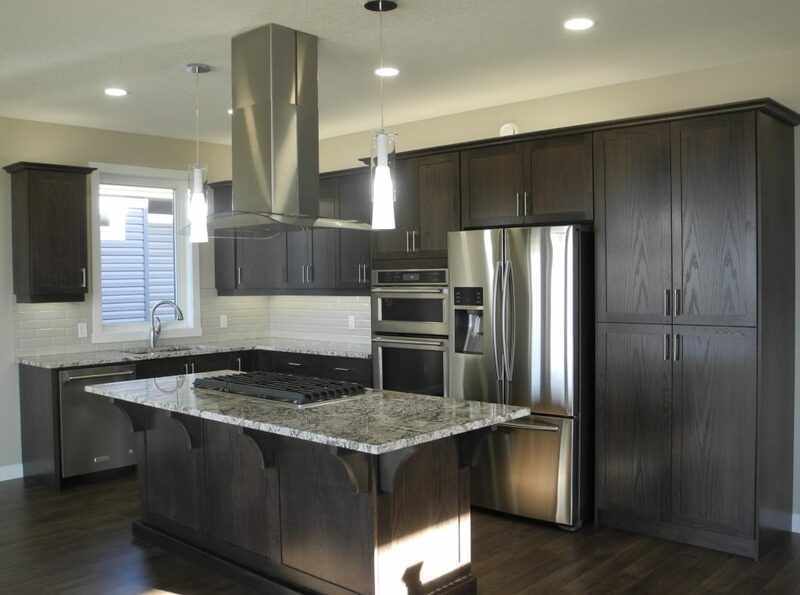 The Poplar bungalow on 537 follows this design trend with a twist- a dark backsplash. Adding a touch of dark grey grounds the room and grants the white cabinets and countertops to pop. We paired these elements with a natural wood floor to add a touch of warmth to this bright white space. Deep kitchen drawers add a surprisingly functional feature to any kitchen. Rather than reaching into a cabinet for your dishes, drawers move items towards you for ease of access. Say goodbye to the Tupperware falling out of the cabinets! 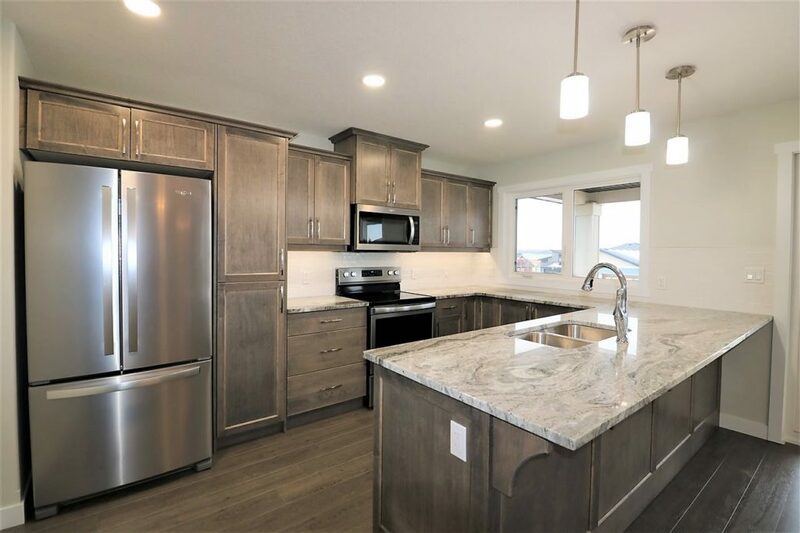 Our custom build on lot 217 features the Poplar Floor Plan and includes a uniquely styled kitchen with deep brown cabinets, a neutral backsplash, and a granite countertops. Above all, this kitchen incorporates deep drawers instead of shelves for ease of use. 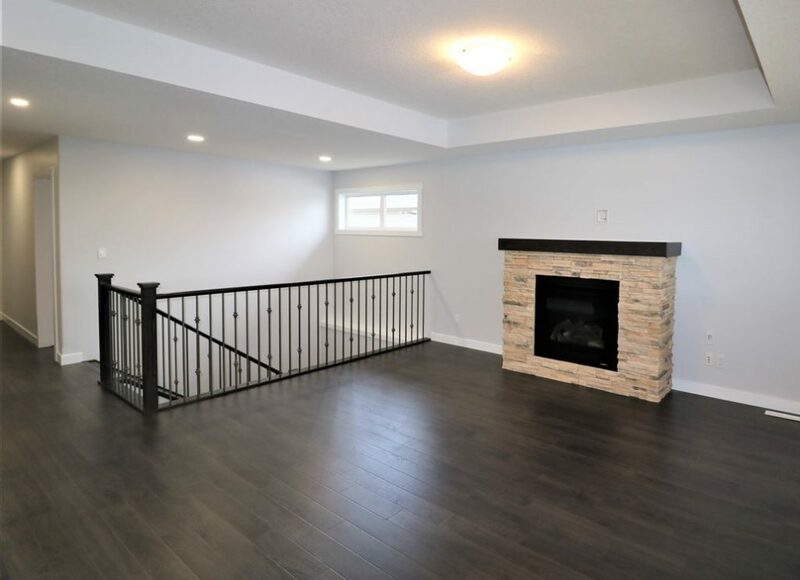 Hardwood is always a nice touch, however BHG believes we can’t discount other materials just yet. Vinyl and laminate materials have come a long way from the manufactured-look of the past making way for more natural styles that are highly durable. We chose a stunning laminate for The Oak on lot 611. This particular flooring features multiple neutral tones that were (and still are!) highly popular among buyers. The space out of regular view is often overlooked in the home, yet the design opportunities are endless when it comes to the ceiling. The open-concept floor plan in The Juniper on lot 216 creates a seamless flow between the kitchen, dining, and living rooms. What makes this space even more unique are the tray ceiling that add depth to all three spaces. Tray ceilings add height and texture to a room, creating an interesting feature on an otherwise ordinary design element. Even with the latest material options, stainless steel still reigns in the world of appliances. According to BHG, stainless steel in residental design stems from both professional and commercial roots, and the neutral material looks sleek in any style of kitchen. 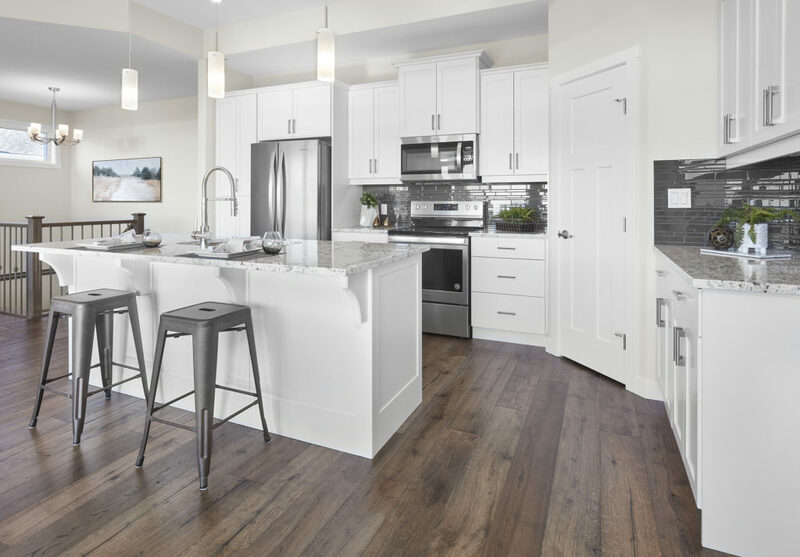 The U-shaped kitchen in the Willow on lot 212 includes stainless steel appliances to incorporate a modern touch to this traditional kitchen concept. 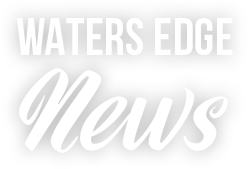 The Estates at Waters Edge is a proud member of the CHBA Edmonton Chapter. As a member, we are committed to the highest standards in quality construction and workmanship in every home we build.  Learn more about the CHBA by visiting their website. 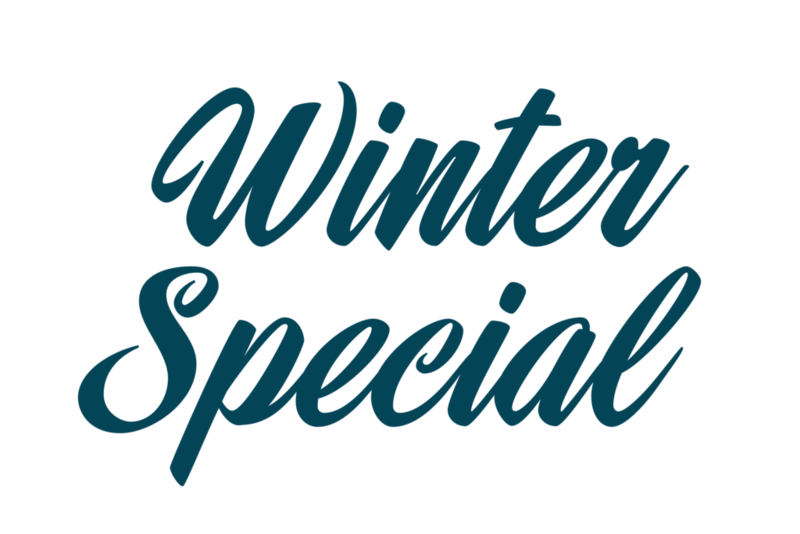 Contact us today to learn about our Winter Pricing Incentives and Heated Garage Package! Available only for a limited time. 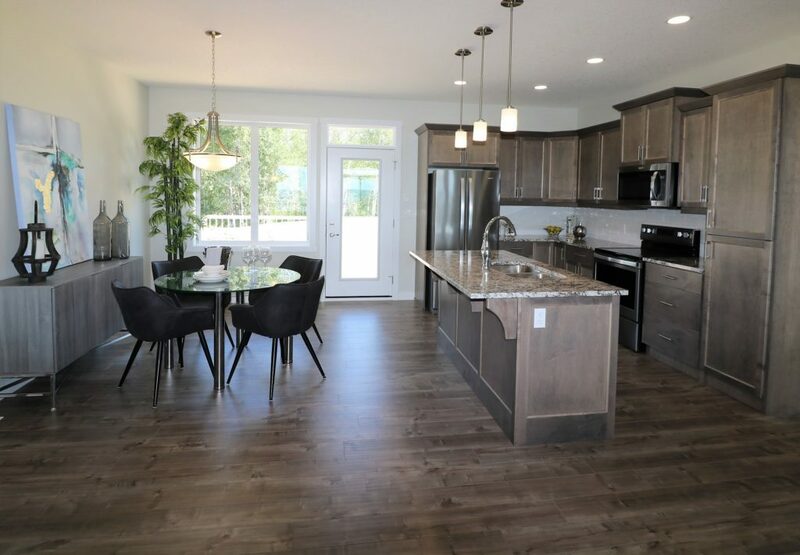 If you are interested in touring The Estates at Waters Edge or require more information on our finished or or upcoming homes, contact Fred Trommeshauser RE/MAX Real Estate at (780)-962-8580.